John W. Ambach, of Shrewsbury, died unexpectedly after a short illness on Tuesday, September 24, 2013 at St. Vincent Hospital in the care of his loving family. He was 70. John was born March 13, 1943 in Needham, a son of the late Harold E. and Margaret Ellen (Lamond) Ambach. Raised in Shrewsbury, he attended Shrewsbury High School and later graduated from Newman Prep in Worcester. He joined the United States Navy and honorably served his country during the Vietnam War. Later he attended Worcester State and Newbury College. On November 21, 1964 in Saint Anne's Church, he married his sweetheart, Maureen Molinari. John's professional career was an all American success story. He began as a janitor for New England Telephone, and worked his way up to lineman. When the company became AT & T his hard work, intelligence, and charismatic personality earned him a place in executive management. He retired from the company in 1989 and promptly started his own company, Pyramid Telecommunications. Serving as the company's President, John was still working at the time of his death. He loved life and the people in it. An avid hunter and fisherman, he could often be found in the woods or on the water with his constant and loyal hunting companions, Dino and Maggie. 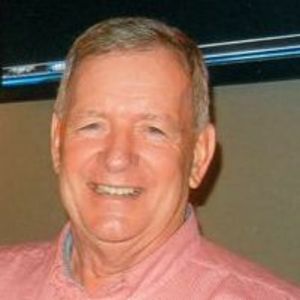 He was a member of the Shrewsbury Sportsman Club and the 200 Sportsman Club where he loved to organize and cook annual game dinners for his friends and members. He also belonged to Vincent Picard Post, 234 American Legion in Northborough and St. Anne's Church. In addition to his wife of almost 49 years, Maureen, he leaves his children, Steven J. Ambach and his wife Maria, Kerrin M. Shustak and her husband Michael, both of Shrewsbury, and Reenie Keith of Littleton; his siblings, Donald Ambach and wife Heidi, of Shrewsbury, Bonnie Cooley and her husband Pat, of Fairfax, Virginia, Ann McTyre and her husband Andrew of Arizona, Sandra Tomaiolo and her husband Richard, of Essex and Mary Ellen Harrison of Somerset, New Jersey. He was the world's best 'Pa' to his eight grandchildren, Cole, Angela, Nina, Olivia, Mya, Max,Will and Kyra who will miss him immensely. He is also survived by many nieces and nephews. Family and friends will honor and remember John's life by gathering for calling hours at Heald & Chiampa Funeral Directors ~ The Sumner House, 5 Church Road, On the Common, Shrewsbury Center on Friday September 27th from 4:00 to 8:00 p.m. and again at 8:45 a.m. on Saturday morning before leaving in procession to Saint Anne's Church, 130 Boston Turnpike where his Funeral Mass will be celebrated at 10:00 a.m. Burial with military honors will follow in Mountain View Cemetery. The family would like to thank Dr. Richard Wholey and the ICU nurses and staff at St. Vincent's Hospital for their outstanding care and incredible compassion. In lieu of flowers to honor John's memory, donations can be made to Veterans Inc., 69 Grove St Worcester, MA 01605.